That time I walked out of a class. This week has been pretty rough for me personally. A friend died on Saturday in a freak accident, my cat died mysteriously on Tuesday, many other little things are building up and apparently it’s all taking its toll. I had convinced myself that I was okay, but learned quickly yesterday that I, indeed, am not. I just wanted to dance, to feel alive among this unexpected death and tragedy. Thankfully, I sort of noticed I was not okay that morning at work, so I knew going into dance that there was the potential that things could get overwhelming. I went in hopeful that I would be able to get through since I was able to Monday, but I did know that my brain seemed to go spacey in class even then, so it was possible it would happen again that day. I go into class about 5 minutes before 6, when class is supposed to start, and find a spot at the barre. Two other girls are in there already, stretching and warming up. Shortly after, Annika came in and came beside me. She was telling me about different things going on in the dance world specific to us, when Elizabeth walked in. I didn’t expect her to be in class since she wasn’t there Monday, and I honestly didn’t realize seeing her would evoke such emotion in me, but I almost cried seeing her. She and Abby have really been more than I deserve throughout all of this; more than I realized I needed. I’m so used to having to go through deaths and grieving alone and figuring it out as I go that to have such friends really be there for me the way they have means more than I’ll ever be able to express. Through these things, I don’t know what I need. It’s complicated and would take a million more blog posts to explain, but through those complex details, they reach straight through the jumbled mess of strings straight to my heart and it brings me such peace. She hugged me, and just having her there–in the flesh–did wonders for my heart. Shortly after that, Cheyanne also walked in. I love this little nugget. (apparently, “little nugget” is my newest term of endearment.) She gave me a hug and stood by me at the barre and just makes class more enjoyable. The world feels right when Cheyanne is in the room. We did this combination of fondu’s en qua, which I remember messing up–especially at the beginning. But then Ms. Munro complimented me, on my feet and extension. Apparently I’m either showing improvement, or was executing the corrections she was asking. Which apparently were at least partially directed towards me. Which means she’s apparently watching me. Which is great. I’m really glad this is happening! It’s just still pretty new and surreal to realize I’m being watched. In a good way. Barre ended up feeling great. Before doing grand battements, we stretched into our splits. Which, I’ve gotten really close on, especially recently. Low and behold, yesterday would be the day that I would do my side split, get all the way down, and let go–hands high in the air and able to stay there. (No, I did not wave them like I just didn’t care, but I did do jazz hands.) Cheyanne asked if I could do the other side. “I dunno, let’s see!” and wouldn’t you know it, I did! So that was exciting. And Ms. Munro saw that, too (I mean, hard to miss I was really excited) and smiled at me all nice and assuring-like. We finished barre, and things were great. Then we went to center. I put on my pointe shoes, uncertain on if I’d be able to make it the whole class, or if I should attempt it knowing that I was still not okay, but I figured I’d try it anyway. I could always take them off, right? 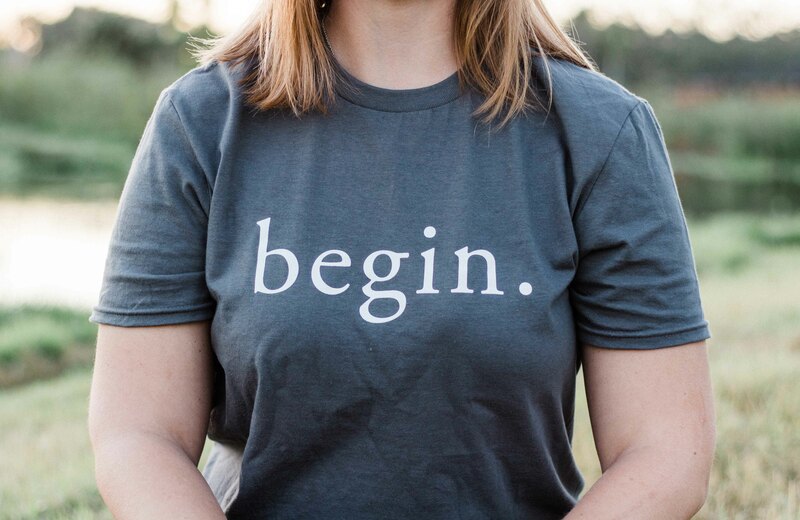 We start simply enough. I can’t remember exact combinations now, but it was mostly flat. (chasse, back leg to attitude, hold it, promenade, something something.) Anyway, I kept losing my balance. I’m not sure if it’s because of my back, since it had started hurting half-way through barre, or if I was just having a really off day. It was pretty disheartening to not be able to do these things I know I should be able to do. Abarrane was near me, encouraging me through my flubs. It started getting more and more difficult as we went on. I ended up on the dreaded far right side, which for some reason shakes me up. I guess because you so easily run into the wall of bags, which makes me feel like I have to contain my moves, which isn’t good when things are new. I kept messing up simple things. We did this combination where we ran through pirouettes, and I really wanted to try them again. She threw in en dedan (spelling? I don’t know.) pirouettes, which I had never done en pointe, so I didn’t even attempt them. As we did these combinations, full of pique-things I should be able to do, I kept falling out of them. Not just falling out, but near rolling my ankle. I don’t think my shoes are dead yet, so I’m thinking it’s just me. Didn’t help that I had the more advanced people behind me in the opposite group as me, and I was just falling apart. I took off my pointe shoes and attempted to do it on flat, but it wasn’t much different. I started to feel this tightness in my chest. I couldn’t do the things I should be able to do. My brain is spacing. I can’t clear my head of the cloud. That’s when I did something I’ve never done before. I walked to the back of the room, before the combination was even really finished, and I walked out. Thankfully, these mom’s are super respectful. They didn’t pry or anything, which helped me be able to calm down without really panicking. Which is really good because then my circulation isn’t effected. I wasn’t sure at this point if I was going back in or not. Cheyanne and Annika came out to get water and I asked where they were in class and they said they were still in center. So I put my shoes back on and went in again. They were still on the same combination (this shocked me?) So I tried it again and did better. We did a few things across the floor, some of which I just couldn’t wrap my brain around, though I knew I should have been able to. I think I stopped mid-way on one (not getting in the way, though. Like, finished the phrase, just didn’t repeat) and leveled my breathing again. When we moved on from that, I didn’t do the right side at all on the next part. Some of the younger girls were asking me questions, but I didn’t have answers. Then some of them got blunt and mentioned they saw me not finish. How do you explain an anxiety attack to a kid? I don’t want them to come into these just because they know about them. If that makes sense. I don’t know. I said something that worked, I don’t remember what, and tried to stay kind but honest. They were sweet. The older of the sweet sisters asked about one of the more complex moves and I did what I could to help her break it down in the limited space we had. I did it the second time, and the younger one asked me about it when we were finished with that one, but before we got the next one. I broke it down for her, and sure enough she caught on. I was really proud. So then I didn’t do the right side on that next thing, and decided to try the left. I almost ran into Ms. Munro because I can’t pique turn straight, for some reason, and Ms. Munro was like, cheering me on. I don’t know if she noticed I left or skipped a few sides, or if I was doing it well, but I just tried to get through and finish. Class ended. I made it. I still haven’t gotten to journal about it all and sort my thoughts since work has been interesting. I’m hoping to be better by next class on Monday. I did take the evening to just breathe and do things I enjoy, namely eat ice cream, and watch hilarious plays with Andie while eating cheesy bread. On the drive home, I was thinking back on the class. I remembered what the Mom had told me before class, and I cried. Things are really hard, work leaves me feeling really defeated, but this shows me I’m doing something right in the world. That I’m not failing, or hard to work with, or complicating people’s lives. That if I weren’t at one place or the other, it would be felt in a good way. Abby made a good point when I told her about class–I’m in a really safe place. This studio, these girls, this group of people are probably a best case scenario–as best case as I could even dream. More, even. I nearly cry at the thought of how incredible blessed (and not in the cliche use of the term) I really am to be among these people. They don’t judge me. They don’t make me feel like I’m fragile or incapable. They encourage me and believe the best in me and help me when I need it. This is my family–the family I get to choose for myself.